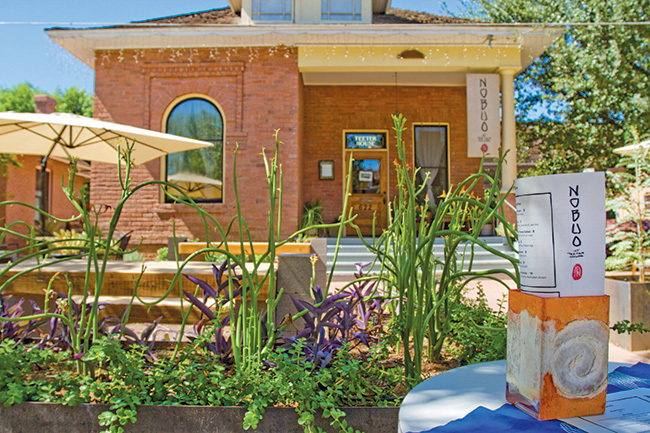 Downtown Phoenix restaurants are a point of pride, and two chef-owners in particular have not only helped redefine their respective culinary corners but have earned international recognition as masters of their craft. 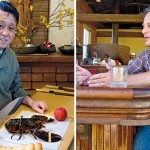 Read on for a Q&A with these Historic Heritage Square neighbors Chris Bianco, of Pizzeria Bianco, and Nobuo Fukuda, of Nobuo at Teeter House, originally published in the Aug/Sept 2011 edition of DPJ Magazine. 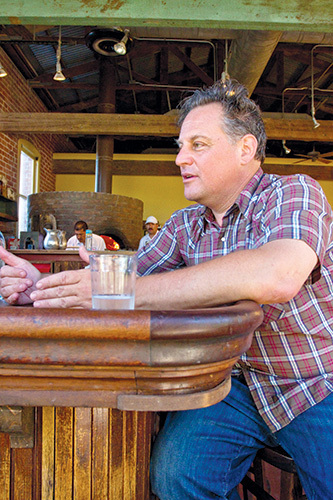 James Beard Award Winner Chris Bianco is known the world over for his creations. 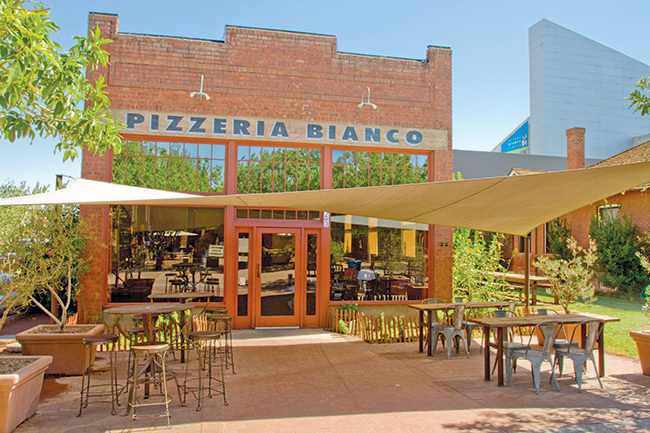 Pizzeria Bianco is critically, and tastefully, the country’s best pizza. And, he’s been a part of Phoenix for some time now, growing and changing in concert with his environment. Bianco is passionate about food, Downtown and the building that houses his baby, Pizzeria Bianco, and he’s flexible and ready for what the future may hold. DPJ: When you decided on this building for Pizzeria Bianco, was it because of the demographic of the area? CB: It wasn’t as much the demographic as the uniqueness. The synergy. The juxtaposition of something of this genre of the late 1920s, utilitarian machine shop that we could build and use with an intention that was uncompromising of the space. It wasn’t me coming and spray painting it black. This was something that demands to be celebrated. It was about bringing something back in a way but not necessarily denying the history of the journey itself. DPJ: Were you nervous about the decision to plant yourself in Downtown Phoenix, when at the time, it wasn’t nearly as alive as it is now? CB: Not really. I always use the analysis of four friends. Ask four friends if they would and you kind of build your demographic around that. It’s maybe a small study. You can’t essentially serve the world. If you can serve a part of it and serve them well with clear intention and the opportunity to build a relationship. I have a relationship with my clientele. I have a relationship with this building. I have a relationship with my staff. 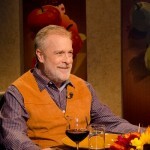 I have a relationship with my farmers and artisans. It’s very relationship built. These spaces represent something really specific in the human experience. DPJ: What does it mean for you to be housed in a historic building? CB: These buildings are really special, so I love being in here. I love the experience. We had to be as good as the space, essentially. You want it to be a place where…all the stars align. For us, it’s been a wonderful journey but a journey that’s ongoing. There’s an accountability. We’re continuing to remodel, internally and in some ways externally, we’re continuing to be relevant. 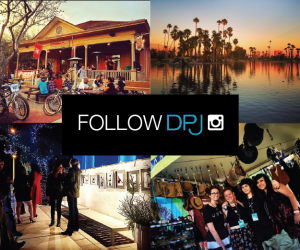 DPJ: What brought you Downtown? CB: I wasn’t really driven to Downtown, as much as I was driven to the opportunity to help, and be maybe a raindrop and not the flood, you know what I’m saying? You don’t open up lofts, or grocery stores and then build lofts. You build lofts and you let people live there and it dictates a need for a barber shop, a flower shop or a grocery. Part of what we were trying to do was this size. What I was trying to achieve, was not feed 3,000 people a day. 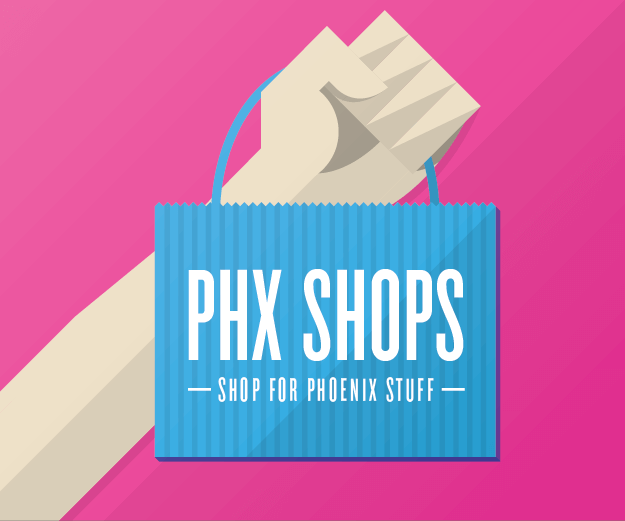 DPJ: What do you think of how Phoenix has evolved over the years? CB: It’s evolved nicely. 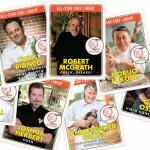 We try to support…Nobuo actually having a chef of his caliber is unbelievable, but also Matt’s Big Breakfast. There’s a lot of things Downtown from a culinary point, and just as a point as a city, we’re getting there. When we say we’re not there yet, it shouldn’t be a negative. It should be a positive. Look at the opportunity. There’s a wonderful opportunity. We’ve continued to be a part of the growth itself. 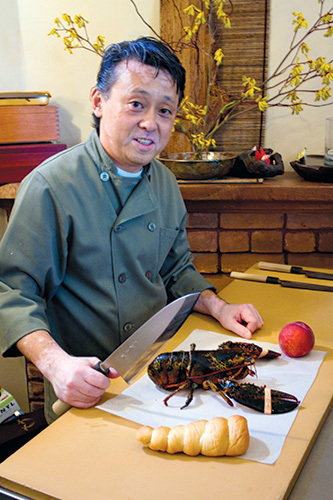 Nobuo Fukuda may be the new kid in town, but he’s not new to the Valley’s culinary scene. He is a James Beard Award winner and is ever evolving, still tinkering with presentation and preparation, on a micro scale (in his kitchen) to a global scale (following the nuclear disaster in Japan). 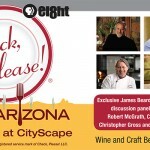 DPJ: How is your Phoenix location different from Sea Saw in Scottsdale? NF: The energy level is totally different. The place in Scottsdale, the dining room is our kitchen. We have a grill and we make everything on counters. When you’re in the restaurant we have a U-shaped counter. Anybody can sit down and watch me cook. [It’s a] totally different kind of atmosphere. Here we started out a little more casual, street-type food. Small bites. Here, it’s more of a casual, sit-down dining. DPJ: Has the downtown area accepted your casual dining idea? Do you have regulars? NF: We do have a few regulars who are coming here or have business here. And they’ll keep coming back for us, which is very, very nice. As more people start to live in downtown, a lot of people [including] my employees, have moved downtown. We have a very good feel for the future in Downtown Phoenix. Nice energy. DPJ: Have you run into any challenges at Teeter House? NF: We’re still trying to adjust the kitchen size. It’s challenging. And when it’s crazy busy, we don’t have enough space. It’s a small space to work with. We’re going to see what we can do, so we’re still working every moment. Our food is not going to be different but the style of how we serve, we still like a tasting, paired wines, but we have to be careful how we do it. DPJ: How have you had to adjust? NF: My vision will be a lot of organic, local, and high-end Japanese fish. It’s very difficult for me to get Japanese fish right now because of the nuclear disaster. Eventually we’ll be able to do it again, [with] interesting Japanese fish and an interesting local vegetable. It’s a mix of different ingredients, one way with the casual style and the other will be more high end. We do get Japanese fish from southern Japan, which is not affected by the radiation. It’s not easy, but still those fish are available. The northern Japanese fish is not available. We do a lot of local vegetable and we use a fish as an accent. But main character is a garden vegetable. That’s what I’ve been doing for a little bit. 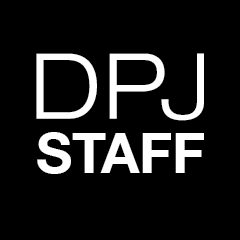 DPJ: What do you think about your new space? 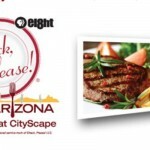 NF: The building, compared to other restaurants in Scottsdale, they’re just buildings, minimum designs. Just buildings. We were going to move across the street, but there was a brand new designer building, but that was not my intention. I feel very moved to the old buildings because they have history and give us more ambiance and warmness. It makes me more special. Lisa Nicita and Justin Lee contributed to this article.